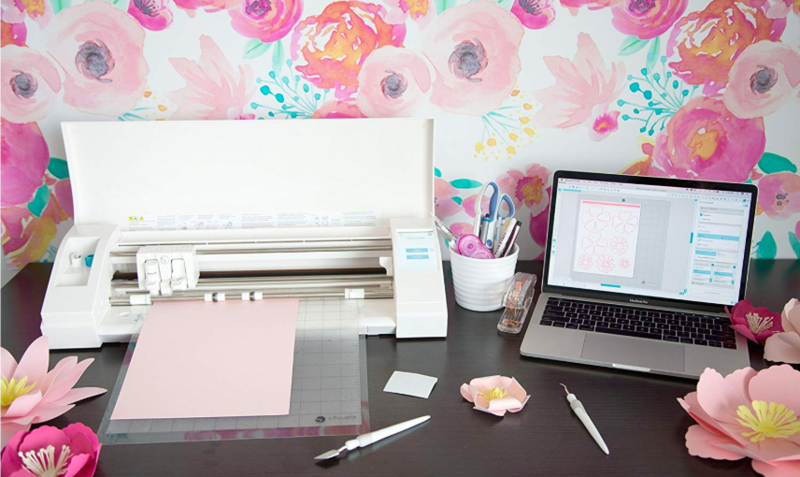 Through today and while supplies last hop on over to Zulily here where they are offering up the Silhouette Cameo 3 Cutting Machine AND Starter Kit for just $189.99 (regularly $353.97). Shipping for this kit is $5.99 so you’ll pay just $195.98 to have this kit delivered to your door, which is a STEAL! The starter kit includes the Silhouette Cameo 3 Cutting Machine, four sheets of vinyl, transfer paper, hook, scraper, download card, guidebook, and one sketch pen in glitter black, glitter teal, glitter pink, glitter lime green, copper, gold, silver and metallic red.